Thank you for your interest in WST Tragwerke GmbH and for visiting our homepage. WST is engaged in the development and marketing of hybrid beam systems for the construction industry, primarily working with timber and steel. We focus our attention on providing construction solutions for civil engineering schemes and buildings with a medium spans, where a high degree of prefabrication is preferable. 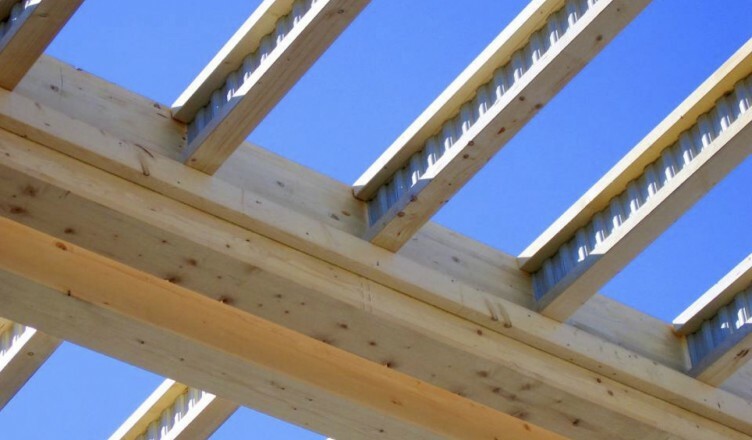 In addition to supplying product components, manufacturing units, verification of structural analysis and the thermal properties of a building, we can also provide design proposals for structures, buildings and building sections made mainly of timber and steel. Hybrid beams are fundamentally stronger than structures made of mono materials. 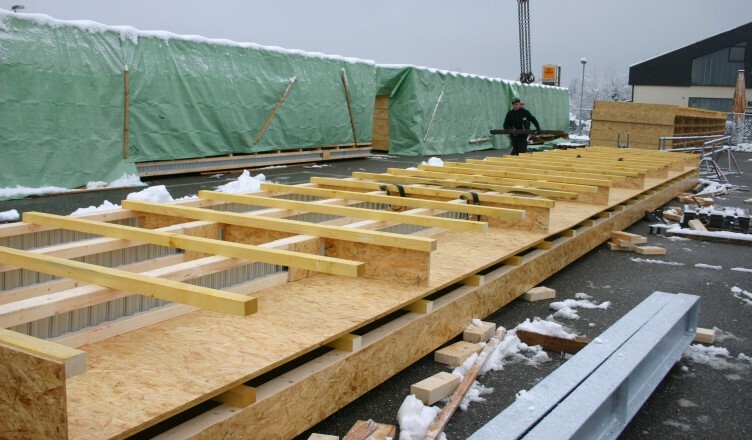 The hybrid structures are precisely adapted to the structural system and load bearing requirements of buildings. Constructions of hybrid structures are ecological and economical, as they conserve resources and are optimally matched to the static load-bearing capacity of the building. The “zeitgeist” in construction is changing. Intelligent inventions are replacing the “concrete frenzy” of the past. At present, WST is engaged in the development and improvement of Nailweb/HTS Hybrid beam structures. It is beyond comprehension that in the past such an ingenious and simple engineering product as the HTS beam experienced so little attention from the construction industry. 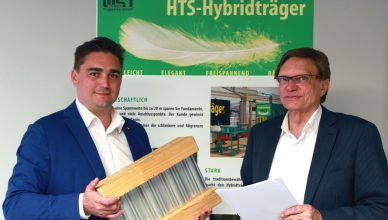 Together with the company Meiser Vogtland OHG, WST Tragwerke GmbH is working to introduce the HTS structure system for smarter, better, more ecological, economical and cost-effective structures in the construction industry. We would be delighted to answer your questions. 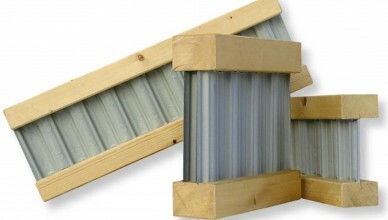 HTS Hybrid Beams are usually produced to order, customized for the building – meaning the waste is reduced to zero. In this way, you will always have the optimal economic solution from what may be hundreds of standard options. We use user-friendly structural analysis software to provide us with reliable dimensions. Manufacture is simple, even for a camber (pre-stressed) of 1/300. The beam cuts like butter with standard (hard metal) tools. Any standard connection used in timber construction can be used. 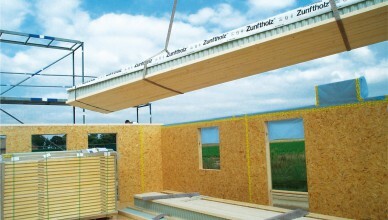 Large spans can be installed just as quickly. What makes the beams so strong? 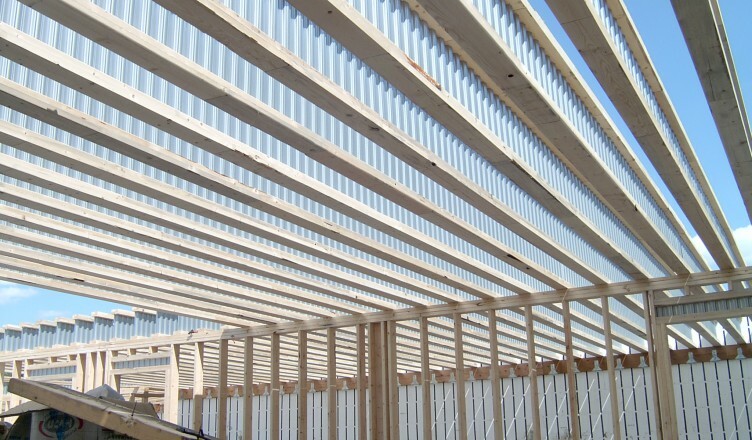 The specific combination of materials designed to meet the structural requirements of beams. Wood is best for transferring the pressure and tensile forces of the marginal zones. Steel is best for withstanding shearing stresses. High load-bearing strength is particularly important for high lateral forces and large spans. And the future for self-supporting static hybrid beam systems is in – HTS hybrid structure systems – HTS beams with a galvanized corrugated steel bridge. The typical anchor beam without milling, without bonding, less steel, less wood – elegant – slim – filigree – no twisting, no distortion, no creaking, wide span. 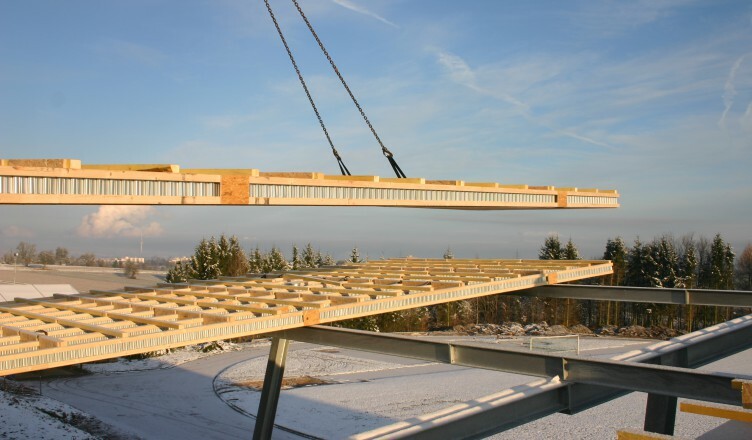 Advantages that are offered by no other beam system – for a self-supporting span up to 20 m.
The commercial spans of HTS are usually 7-18 m for only 27-51 cm thickness and a low weight of 7-20 kg/m. This system begins where others end. The result: slim, lightweight, elegant structures with more space.